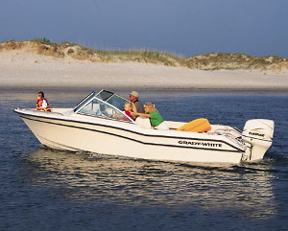 If you are looking for Cape Cod boat rentals, we have them all listed here. Are you tired of the crowded beaches? Did you know that there are places on Cape Cod that are not crowded. Shhh…Don’t tell anyone, but the waters around Cape Cod are amazingly uncrowded, and the way to access these waters is by visiting a local boat rental business. Check them out below, and “Discover Boating” as they say. Our experience at Ship Shops was one that our family will never forget. We rented a 22′ Boston Whaler(they have other boats available) that was fully equipped with all safety gear, including GPS. They are located on the Bass River with easy access to Nantucket Sound. The staff was incredible, and we would highly recommend them. We’ll be back! Down Cape has taken over for Nauti Janes(great name!). They are located at the Wequassett Inn in Chatham, on Pleasant Bay, offering both power boat rentals and small sailboat rentals, as well as kayaks. Located on the Swan River, renting paddle boats, canoes and kayaks. 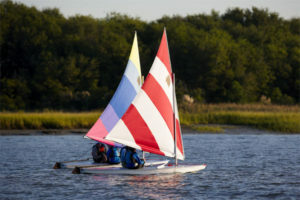 Jack’s offers Sunfish, sailboards, seacycles, pedal boats, canoes, and kayaks. Flyer’s offers powerboats (ranging from 8- to 90-horsepower) and sailboats ranging from a Sunfish to a 27-foot Irwin, and sea kayaks. WellfleetMarine rents both powerboats and sailboats.